Massachusetts is the perfect embodiment of its delicate and sweet smelling state flower, the mayflower. Its splendor can be felt in every direction. There is a plethora of wedding venues in MA. It is not only beautiful, but a firm part of America’s history, being one of the 13 original colonies. It also happens to the have the first metro system and park in the country. The Bay State, as Massachusetts is known has a plethora of sights and sounds to explore. The abundance of choice and variety can be so overwhelming sometimes that one might find it hard to find a wedding venue in this state. Fear not, however. Whatever you may find, it’s bound to be beautiful. It boils down to finding something that suits your tastes. There are beautiful white beaches, spreading forests, dainty little towns, and roaring cities. The array of options for your wedding day is almost endless. You are sure to find the best wedding venues in MA in this list. There is a lot of history infused with the beauty of nature in the Bay State. It’s also not about location here; time matters as well because, whatever season you choose for your big event, you’re bound to have a unique experience. You could for a rustic experience; a barn somewhere with enough capacity for your friends and family. You could have your romantic ceremony here with the people that matter the most in your life cheering you on and sharing the special day with you. Or you could go for something grander; a fairy tale wedding. A castle isn’t far-fetched. There are more than enough wedding venues in MA. The state also has more than its fair share of stately mansions with sprawling estates. A winter wedding at a beautiful castle or mansion is not out of the question. Whatever you choose, whatever your tastes, there are wedding venues in MA where it can all be a reality. 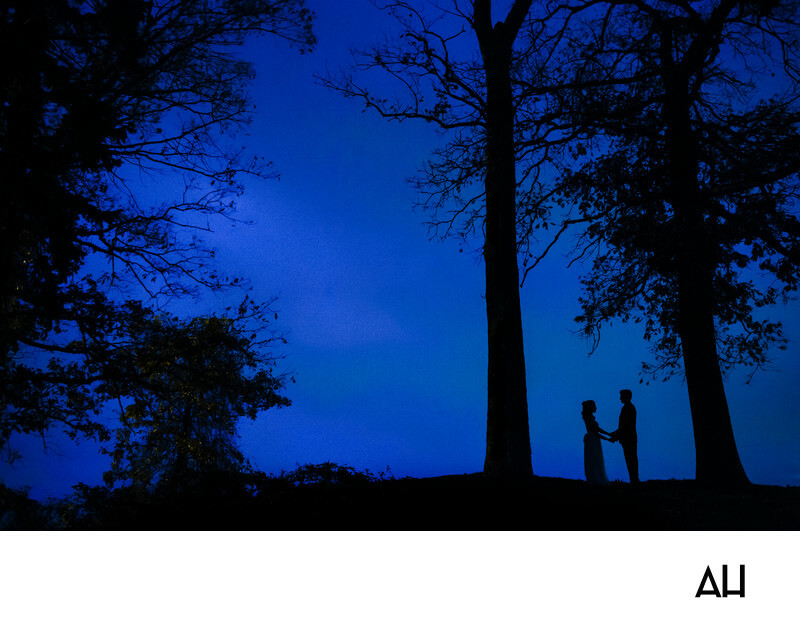 The following wedding venues in MA is by wedding photographer, Andrew Henderson. If you are looking for a wedding photographer and would like to book me, contact me. Chesterwood - The Chesterwood estate is located along the Williamsville Road. Driving up to it, one can almost feel as if they are driving back in time. This esteemed estate was once the home of Daniel Chester French, a master sculptor, and his touch can be felt everywhere on the property. The architecture and style is 18th century but the maintenance and vibe is very modern. From outdoor ceremony spaces to lush lawns and floral gardens, there are plenty of open air spots for an outdoor wedding in MA. If you’re looking for the perfect countryside wedding and stunning views, then this 122-acre property is perfect for you. The address is 3 Williamsville Rd, Stockbridge, MA 01262 and telephone number is (413) 298-3579. Tiffany Ballroom - Somewhere near the Sheraton Norwood is a place where dreams come true. This is none other than the Tiffany Ballroom. Spectacular, breathtaking, unrivaled; this wedding venue isn’t too far from Boston and offers an elegant setting for your special day. From a simple 50 guest affair, to a grand wedding with up to 450 guests, the Tiffany Ballroom has plenty of space for your party. Part of this is the 2000 square foot Tiffany Pavilion where you can have your outdoor cocktail party. To cap it all off, Tiffany’s catering team is among the most professional and experienced in the field. Collaborate with them and make your wedding magical. The address is 1125 Boston-Providence Turnpike, Norwood, MA 02062 and telephone number is (781) 255-3159. Dom Paragon - After 27 years in the antiques industry, Alexander Westerhoff and Tobias Muller decided to turn their house into a Dom Paragon; a “house of treasure”. Ever since, that house has become the venue of choice for many a magical moment. Elegant, sophisticated, and timeless. This space features beautiful architecture and décor and includes well-tended lawns outside and stately halls inside, which makes it one of the top wedding venues in MA. Wherever you decide to hold your wedding, the environment will certainly give it an air of sophistication hard to find anywhere else. You can have your wedding ceremony inside the ballroom or outside under the tent. The ceiling of the tent is clear to give your guests a spectacular view of the starry sky. The address is 3 Colburn Rd, Manchester-by-the-Sea, MA 01944 and telephone number is (617) 283-1207. Boston Marriott Long Wharf - At the Historic Long Wharf lies a gem of a hotel: The Boston Marriott Long Wharf. This excellent venue offers a superb view of the harbor through the Harbor View Ballroom, with its floor to ceiling windows, which will easily hold up to 146 guests. You can host a larger wedding in the Grand Ballroom, which has a capacity of up to 400 guests, one of the largest Boston wedding venues. The architecture and style of the Palm Garden Room will blow your mind away and pose as a perfect background to your photos. You and your guests can top it all off by taking a cruise on Boston Harbor or Columbus Park nearby; all wonderful locations for photo ops. The address is 296 State St, Boston, MA 02109 and telephone number is (617) 227-0800. Peirce Farm at Witch Hill - The Peirce Farm at Witch Hill is a time capsule in its own right. This is one of the most iconic wedding venues in MA. From the statue overlooking the driveway to the white home with its contrasting green shutters to the furnishings on the inside. The ambiance at this venue is simply unbeatable. The mahogany staircase will lend itself perfectly to your grand entrance for your ceremony while the grounds of the estate are an excellent choice for your outdoor ceremony. You will particularly enjoy holding your wedding here in the winter as a fire roars in the fireplace and the green windows contrast the pristine white outside. The address is116 Boston St, Topsfield, MA 01983 and telephone number is (978) 867-1355. The Stevens Estate at Osgood Hill - The Stevens Estate at Osgood Hill is a classic example of Victorian splendor. The mansion itself is a grand feature that will make you feel like part of nineteenth century high society the minute you step into it. Designed by the architects Henry Hartwell and William Richardson, it is made from the finest of materials and sits magnificently atop the 153-acre property. This Northern Massachusetts estate offers countless opportunities for beautiful photos and breathtaking wedding ceremonies in a world that seems untouched and unconcerned with the post-modern civilization around it. All revenue generated by the estate is reinvested into renovating and restoring it. The address is 723 Osgood Street North Andover, MA 01845 and telephone number is (978) 682-7072. Saphire Estate - Saphire Estate, like the name suggests, is a magical gem. It offers incredible views of the lakeshore and a luxurious environment which you can reserve exclusively for your event. This breathtaking venue lies on Boston’s South Shore and has the quintessential New England air about it. Despite its country charm, it is highly accessible, being only 30 minutes south of Boston. There are endless possibilities for a magical wedding in this beautiful estate, and the romantic settings will certainly fuel your own love as you exchange your vows under the fiery evening sun. The staff is also highly professional and ready to help you plan your fairy tale wedding to the tiniest of details. The address is 164 Massapoag Avenue Sharon, MA 02067 and telephone number is (781) 784-2400. Boston Symphony Hall - In 1881, the businessman/philanthropist Henry Lee Higginson’s dream of a an orchestra in Boston was realized when the Boston’s Symphony Orchestra gave its inaugural concert at the newly built Boston Symphony Hall. 137 years later, the resplendent concert hall still stands strong and is considered one of the top concert halls in the world. What better place to hold your wedding than on the grand stage with an admiring audience watching you from below it? The light streaming in through the high windows will add a romantic gleam to your faces as you and your beloved exchange your vows before the world. You can later descend the stage and join them for a cocktail party to put a cap on the glorious day. The address is 301 Massachusetts Avenue Boston, MA 02115 and telephone number is (888) 266-1200. Red Jacket Beach Resort - The Red Jacket Beach Resort is an excellent embodiment of what makes Cape Cod such an excellent holiday destination. One of my favorite Cape Cod wedding venues, it features a private beach with spectacular views of the ocean and a cuisine that only Cape Cod is known for. You can book your private wedding reception or rehearsal dinner at the resort and take advantages of the enterprising and cordial staff to help you plan your big day. Whether it’s the floral arrangements and the décor, or the appetizers and cuisine for the main course, they will take care of the details and make your wedding absolutely magical. The address is 1 South Shore Drive South Yarmouth, MA 02664 and telephone number is (800) 227-3263. The Mount - Edith’s Wharton’s historic mansion and its associated gardens are an excellent place to hold your wedding. Spend your big day on this magical expanse of land, spanning approximately 50 acres. Once you book The Mount for your wedding, it is closed off to the public on that day, leaving you with this enchanting estate all to yourself. For your ceremony, you can choose any of the famous formal gardens. The Italian Garden, which takes its inspiration from Renaissance Italy, might prove to be an ideal venue. Or perhaps you would prefer to give it a French vibe in the French Flower Garden, which took inspiration from the famous gardens of Versailles. Wherever you choose to hold your ceremony and party, the entire mansion and its garden is open to you making it one of my favorite wedding venues in Western MA. The address is 2 Plunkett Street Lenox, MA 01240 and telephone number is (413) 551 5116. Stonover Farm - Sitting on the breathtaking landscape of Lenox, MA, is a Bed & Breakfast sitting upon 10 acres or of lush manicured lawns. The Stoneover Farm, run by Tom and Suky Werman, manages to be both grand and intimate, lending itself well to whatever size of ceremony you might want. This is one of the best barn wedding venues in MA. 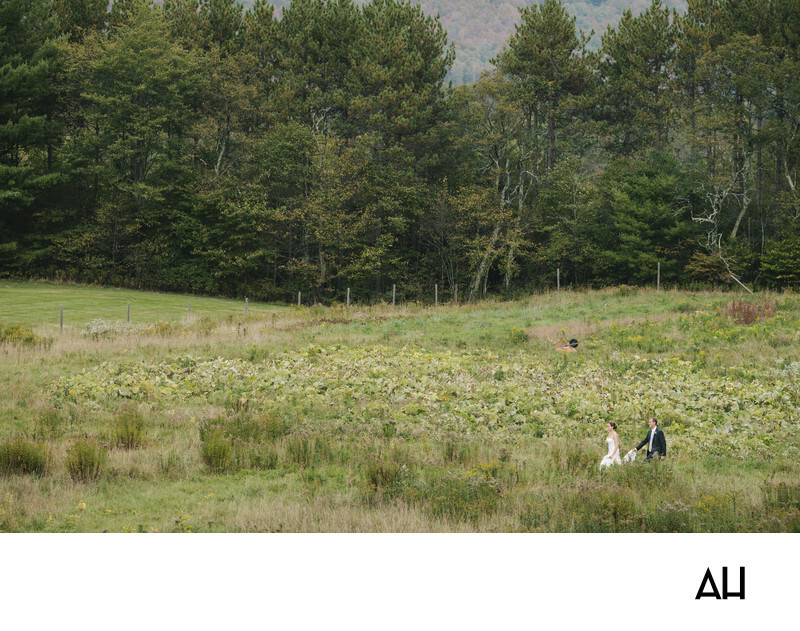 You can take advantage of the 4-acre field for a large wedding. It can easily take tents of whatever size. You can also have an intimate affair in the chic hay barn, which will easily accommodate up to 200 guests. The duck pond, with its beautiful lawn, should be an excellent setting for a cocktail. Whatever it is you’re looking for, the picturesque Stonover farm is one of the most beautiful wedding venues in Western MA. The address is 169 Under Mountain Road Lenox, MA 01240 and telephone number is (413) 637-9100. Tower Hill Botanic Garden - In Boylston, Massachusetts, lies 132 acres of some of the most beautiful land in all of New England. Tower Hill Botanic Garden is something out of a story book. For starters, it offers unrivaled views of Wachusett Reservoir. Second, it has the most comprehensive Botanic garden in all of New England. Tower Botanic Garden has numerous locations where you can hold your wedding rehearsal dinner, ceremony, and receptions. Venues such as the Secret Garden and the Limonaia Conservatory are perfect for ceremonies while the Orangerie would be perfect for receptions. The Winter Garden and the Great Hall lend themselves perfectly to cocktails and beautiful wedding pictures. Come try it yourself and feel some of the magic that makes Tower Hill Botanical Garden one of the most beautiful New England wedding venues. The address is 11 French Drive Boylston, MA 01505 and telephone number is (508) 869-6111. Worcester Art Museum - Worcester Art Museum isn’t very far away from Boston; it takes only an hour to get there. However, with all its elegance and charm, one would be forgiven for thinking they were entering another world. The Worcester Art Museum is full of culture and beauty. The architecture itself is breathtaking. You will be blown away by the Renaissance Court with its 50 centuries of artwork. From the columns around the room to the artwork adorning the walls, there is something to be said about this grand and beautiful room. The pictures will also definitely be memorable with all the opportunities for finding magical backgrounds. A wedding at the Worcester Art Museum is a wedding in heaven for art lovers. The address is 55 Salisbury Street Worcester, MA 01609 and telephone number is (508) 799-4406. The Eric Carle Museum of Picture Book Art - A museum for picture book art from around the world. The purpose itself sounds unique enough. Imagine the real thing: The Eric Carle Museum of Picture Book Art. This magnificent venue is in Holyoke, smack in the middle of an apple orchard. The Carle collects picture books and he associated art from different corners of the world, preserves then, displays them for everyone to see, and celebrates them and their creative authors. The design of the place, with its beautifully lit spaces, is perfect for your wedding rehearsal and cocktail party. Your guests can sip their wine while enjoying the various displays in the gallery. You and the love of your life, meanwhile, will feel young again. The address is 125 W Bay Rd, Amherst, MA 01002 and telephone number is (413) 658-1100. The Nantucket Hotel - The Grand Ballroom at the Nantucket Hotel is one of the most beautiful ballrooms in the world. This ballroom was reopened to the public in 2012 after renovations. It first opened its doors to the public in 1925. One thing’s definitely for sure; the place hasn’t lost any of its style and character. Holding a wedding here should be a breeze. Whether you’re having the ceremony on the Terrace, or enjoying cocktails on the Poolside Patio, you will find there are plenty of opportunities for you to hold your wedding event. No other place offers such convenient, centrally located amenities and activities. The address is 77 Easton St, Nantucket, MA 02554 and telephone number is (508) 228-4747. Tupper Manor at The Wylie Inn and Conference Center - Across the bay from Salem lies a picture perfect part of history: The Tupper Manor at the Wylie Inn. This beautiful house really knows how to welcome you and get you in the wedding mood. For starters, the fountain, itself a grand monument, seems to beckon to you to enter as you drive into the property. The foyer, which is made of marble, features some breathtaking full mirrors that may make you feel slightly uncomfortable but are beautiful nonetheless. It is in the conservatory beyond the foyer and its Fresh doors that you will exchange your vows with your dearly beloved as friends and family cheer you on. Meanwhile, there are lots of opportunities for picture perfect photos. Don’t squander them! The address is 295 Hale St, Beverly, MA 01915 and telephone number is (978) 867-1800. Willowdale Estate - Tucked away in a serene corner of Topsfield lies the Willowdale estate, an estate like no other. 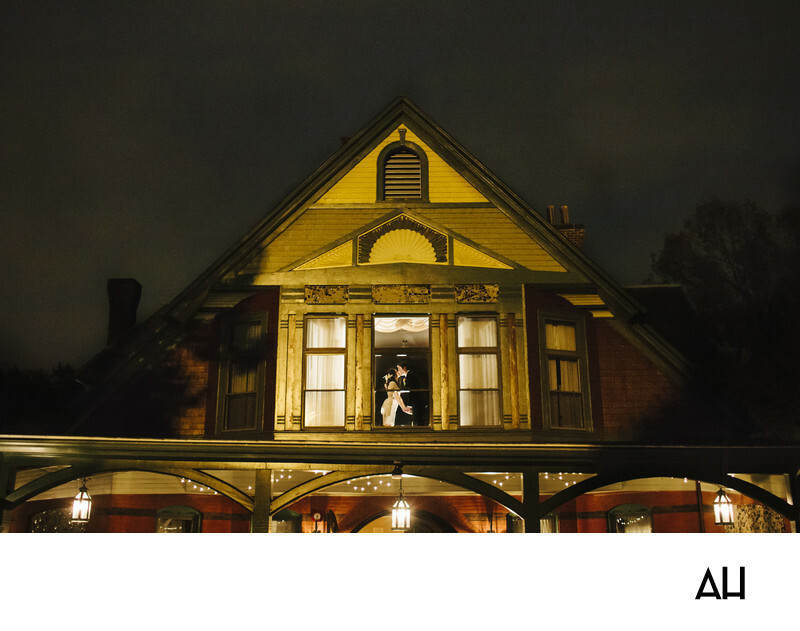 The mansion here is perfect for your retro, vintage wedding. The style of the Willowdale Estate Address is Tudor and the architecture is breathtaking. You can exchange your vows in the conservatory, where you will enjoy beautiful panoramic views of the park or have your wedding reception and cocktail in the butterfly garden. Everything about the Willowdale Estate Address is inviting, and the pictures you take in this venue will seem to come to life all on their own. Have your wedding here and you will never regret it. The address is 24 Asbury St, Topsfield, MA 01983 and telephone number is (978) 887-8211. Camp Kiwanee - If you are looking for rustic wedding venues in MA, Plymouth County is home to one of the best: Camp Kiwanee. It offers an excellent location where you can hold any kind of even connected to your wedding that you can think of, including the ceremony, reception, rehearsal dinner, cocktail hour, and even an after party late at night. The centerpiece of this camp is the Needles Lodge, which has been around for over 100 years and still maintains its early 20th century charm. It offers amazing views of the outside and features breathtaking architecture with its exposed roof beams and floor to ceiling windows. This venue is as perfect as any other to say your vows in. The address is 1 Camp Kiwanee Rd, Hanson, MA 02341 and telephone number is (781) 293-2333. Massachusetts is a beautiful state, rivalling any other statewide when it comes to the choice of wedding venues. The state flower for this beautiful state is the May flower, which just about sums up its characteristic splendor. There are far too many options to choose one or two favorites, so be sure to explore and check out all that’s available for you to choose from. However, we understand that that might not be an easy thing to do. That’s why we included all of the above venues for you to compare for yourself. As a wedding photographer, what stands out the most about Massachusetts is the deep connection between its historical beauty and charm and its modern vibe. It doesn’t matter whether you’re going for a mansion wedding or something a little more rustic in a barn. Every venue in Massachusetts has a way of mixing in history and culture with a modern feel, and that’s what makes this state so unique. Every venue is simply brimming with life. Another aspect of it that stands out is the distinct New England charm of Massachusetts venues. A winter or fall wedding in this state will probably feel a lot more magical than a winter or fall wedding anywhere else in the country. Why? Because New England has a way of making it all seem magical. Most of the venues features in our list include professional staff that hold your hand and walk with you every step of the way as you plan for your big day. They will help you with every aspect of planning your wedding; the décor and flower arrangements, the cuisine on the menu, the drinks to be served, the cake, and even the DJ who will play the music that will make your night memorable. With years of experience in their belts, and some of them even having been married at the same venues where they work, you can be sure you will be in good hands. Finally, it’s also the sheer size and variety of your options. In case you didn’t notice, there are venues of literally every kind in Massachusetts. From beach venues where you can just kick the sand and enjoy your special day by the sea, to botanical gardens where you can enjoy the well-tended gardens as you share your vows, to rustic barns where you can have a laid back and intimate affairs, to classy historical mansions and estates where you can have a classic and elegant wedding. It doesn’t matter what your tastes are; Massachusetts has something for you. Whoever you are, wherever you’re from, whatever kind of wedding you’re looking for, Massachusetts has something to offer you. Try it today.